A person was killed after being struck by a car early Monday morning on Highway 213 in Oregon City. John William Pundyk, 37, of Oregon City was identifed as the man who died in the crash. Pundyk had owned an information technology business called Puzzle Technology Services, based out of his home on Apperson Boulevard. 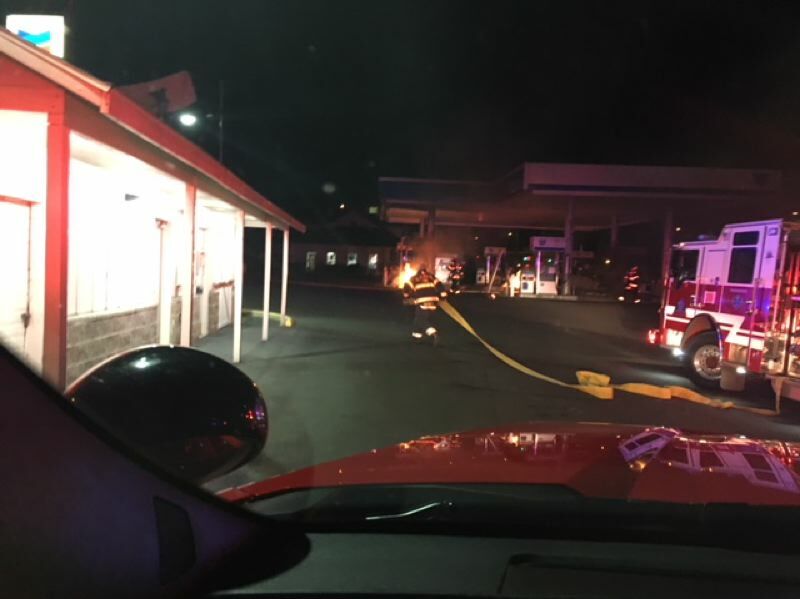 Officials say a fire was sparked at 3:37 a.m. at a Chevron gas station on Highway 213 and Clackamas River Drive after Pundyk crashed his SUV into a couple of gas pumps. A few moments later Pundyk was seen running into the northbound lanes of Highway 213, where he was struck by a passing vehicle, said OCPD Sgt. Matthew Paschall. The driver of the car who struck Pundyk stayed on scene and cooperated with investigators, Paschall said. Clackamas firefighters arrived quickly and were able to stop the fire at the gas pumps. All northbound lanes of Highway 213 were closed at Clackamas River Drive but have since reopened. Paschall said OCPD is still investigating the events leading up to the crash.